Joe Bright’s thoughts returned to Billie Holiday, as they usually did when he was waiting for his father. Samuel Bright was a physician and an enormous fan of Lady Day’s singing, especially the recordings—“Such soulful longing”, Samuel often said while listening to them—that she had made with the pianist Oscar Peterson. Now, so many years removed from his time as a Navy corpsman–the equivalent of a medic–with the Marines, Joe recalled the day that he and his father had talked about Billie, just before he had left for Vietnam. He had been nineteen, a big fan of Marvin Gaye and Jimi Hendrix, about whose amazing talents he had never been able to convince his father. Billie Holiday, on the other hand, merely had to make a gesture with one of her beautiful be-ringed hands, to look to the side the way she did so often, as though no one else were in the room and she had caught herself in mid-thought, in a passing dream or a painful effort at a smile…and then all she had to do was sing the words. ”Gay roué and gay divorcée/who lunch at The Ritz,/will tell you that it’s…/divine!” She sang from regret. A ruse, The Divine yet filled The Ritz, a palace devoted to fun and loss, and Billie Holiday was the muse who made you feel that fun in your own ruptured heart. But Joe had gone to Vietnam, and been wounded at Khe Sanh in 1968. Joe remembered that moment too, when he and his father had been seated on this very same bench on a July day in 1969. The Pond in Central Park had appeared motionless. Traffic noise from 59th Street, on that warm day, the kind of day in which the heat holds to your skin as though bandaged to it… Indeed Joe’s legs had been heavily bandaged that day, his recovery from the burns progressing reasonably enough, although, as Samuel had told him, “that skin below your knees, it’s so bad that it’ll always be like cowhide, Joey. But cowhide that breaks open if you bang it against a low table or something. It’ll itch. It’ll hurt.” And so it had, and so it did now as he listened to more of Billie Holiday on his iPhone. Holding the eight-tracks in his hands before Joe had left for Vietnam, his father described to him the one Billie Holiday concert he had attended, on March 27, 1948 at Carnegie Hall. Samuel was twenty-seven that year, a brand new physician living in The Village on Bank Street. He had no time to do anything, being the newest guy in a big practice up near The New York Hospital, and a new baby about to arrive, Joey himself. But he made time for this concert. Samuel looked to his hands. Three months after his deployment, lying against a red mud embankment, smoke rising from his legs, his helmet rolling down the slime and mud beside him, everything about Joe was mottled red and black with mud except where his right shoulder bled. The piece of shrapnel that had loosed the helmet from his head had been diverted into the shoulder itself. Joe fell into a pain-ridden swoon, in which, through all the noise of the explosions and sear and automatic rifle fire, broken slivers of music ran through his mind, just here and there, gone in the terrifying pain, a sigh of remorse, death demanding that it be heard. Oscar Peterson’s recollected piano so sweet in the roar. Billie Holiday singing for Joe despite the fact that his legs were on fire and he was dying. “Come on, Joey.” Someone huddled down next to him, still under fire, his voice barely controlled, all anger and panic. “We’re gettin’ you out.” Joe hadn’t known who it was, even though he recognized the voice. They dragged him by his shoulders out of the kill zone. He had figured he was dead. Black smoke had been rising from the tattered shreds of his pants legs. His own skin…he didn’t know what was happening with his own skin. He could not remember now whether that too had gone through his mind as, screaming, held down by others, still under fire, he awaited the med-evac. He should have died. “It’s good to live it again,” she sang. Joe stood up, a cane in each hand. Walking still caused him considerable pain, and his father occasionally kidded him for that. “Well, you’re sixty-three years old, Joey. What do you expect?” Samuel was ninety-one, a widower with an apartment on 59th Street overlooking the park. He walked far more comfortably than his son did, and still dressed with natty, businesslike style. A suit and a necktie, always. Dr. Samuel Bright, professor emeritus of Medicine, Columbia University. Joe suspected that someone being told about such an exchange would accuse Samuel of heartlessness toward his son. But that was not so. As soon as Joe had arrived at the Brooke Army Burn Center in Texas, Samuel had flown there. The physicians explained that Joe had suffered full thickness burns in his lower legs, and that there had not been the facilities in the field to flay the skin, to enable blood circulation. The musculature had quickly deteriorated. Samuel still helped Joe wash and hydrate the skin on his legs when he came to visit. They went for weekly walks in the park. Samuel kept up on the latest for the long-term treatment of such severe wounds. He admired his son’s writing and the fact that his novels had done so much to explain the heartfulness of the wounded in war. A New York Times best seller, Joe’s first novel had described the death of a Khe Sanh corpsman, his thoughts falling to dreams as he lay next to two dead men, both of whom he had thought he could save. Mendoza and Sink had been the two characters’ names in the book, the same as the two Marines that Joe had been lying next to when they all had been hit by the incendiary. Joe’s fourth novel, about the last moment in the life, in Vietnam in 1954, of the combat photographer Robert Capa, had won the National Book Award. Throughout the novel, before he stepped on the landmine, Capa’s damaging, electrified second thoughts about his life had, under duress, reluctantly revealed themselves to him. “Hello, Dad.” Joe took Samuel’s hand in his. Samuel also wore a Neiman Marcus fedora that he had owned for thirty years. It was brushed, blocked, in beautiful shape. “Hello, Joey. How you feeling?” His father looked down at the canes. Slowly, they turned up the path toward the Columbus Circle entrance to the park, where they usually stopped for Joe to rest. Arriving at the kiosk there, Samuel told his son that he was buying, and while they stood in line waiting, he turned to Joe to continue the conversation they had been having. He took the two cups of coffee into his hands, and both men turned toward an empty metal table with a couple chairs and a view of Columbus Circle. Samuel placed the coffees on the table, along with two paper napkins and two plastic-wrapped slices of banana bread. Their usual. He put his hand on the small of Joe’s back, caressing it as he took the canes from his son and then helped him sit down. 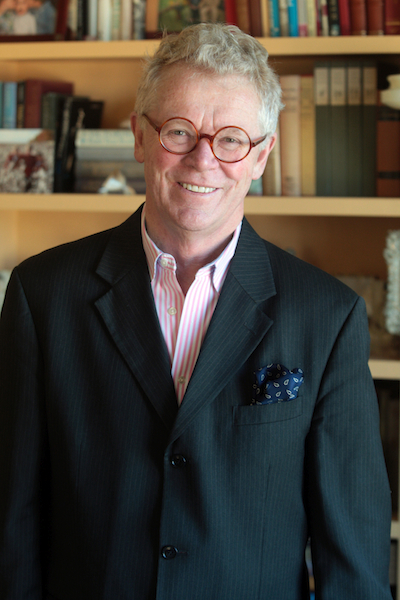 Terence Clarke’s new novel, The Splendid City, will be published on February 1, 2019. By Terence Clarke in Uncategorized on December 20, 2018 .